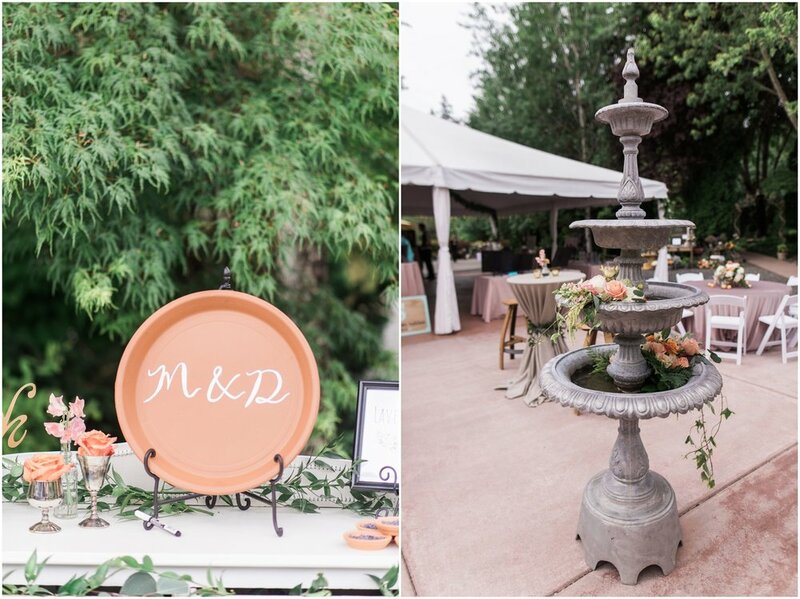 -The non-traditional guestbook: A Terracota plate with the couples monogram that guests could sign. -Grand exit: a lavender toss! -The fully styled food & beverage stations that look like something out of a magazine! Twelve baskets catering provides all their own serving peices and they are a stunner! -The DIY flower crowns station. Craft projects are totally my jam and I was crying a little on the inside because I didn't get time to sit down and craft one of my own! 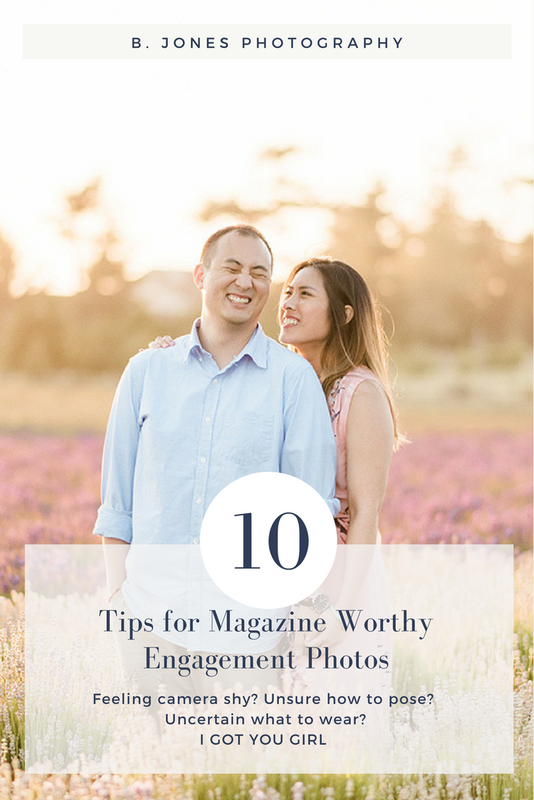 -A favor your guests will actually want! A create your own bouquet station. 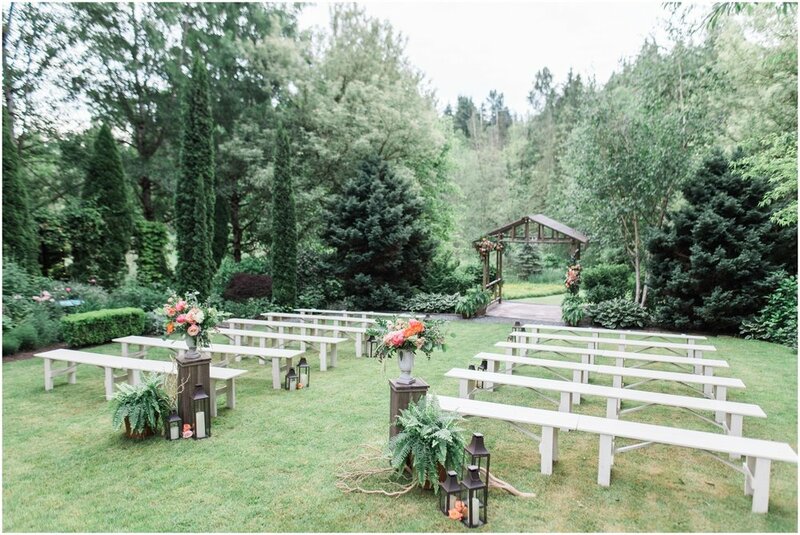 -TWO FIRE PITS included with the venue -- A glam irredecent blue glass fire table near the dance floor and another rustic wood burning fire pit surrounded by adirondack chairs with plush throw blankets. 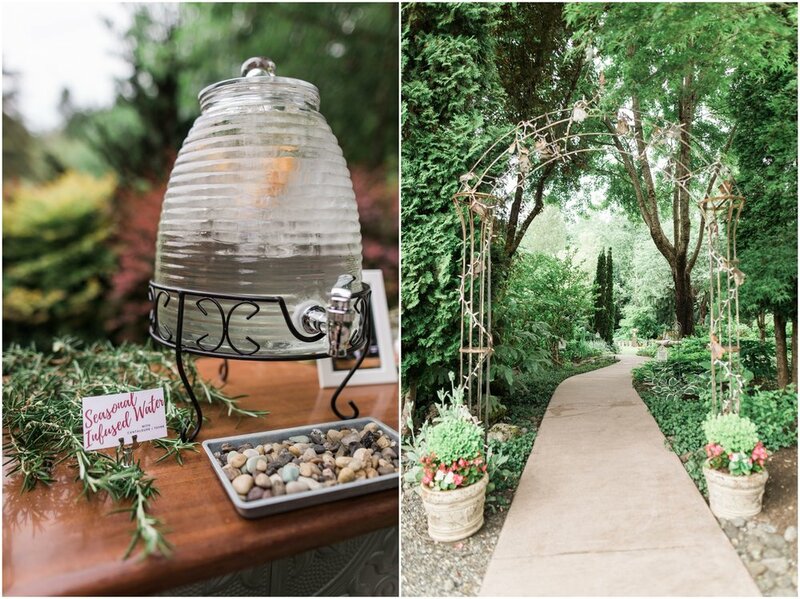 -Hanging rose buds on the arch covered path between the ceremony & reception areas. 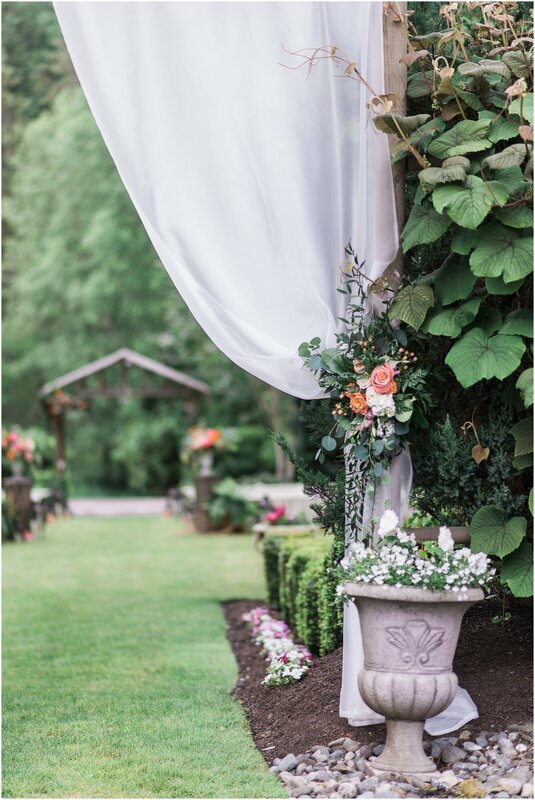 -Ascetically pleasing ivory patio umbrellas dotted the venue adding style and functionality when it began to sprinkle. -The artichokes tucked into various floral displays. -The vintage bike at the make your own bouquet station.